Lewis Brimble to represent Team GB at WTG in Spain. Following a successful British Transplant Games (BTG) in Liverpool in the Summer of 2016, Lewis was selected to represent Team GB at the World Transplant Games (WTG) in June/July 2017 in Malaga, Spain. Lewis was diagnosed with Dense Deposit Disease at 9 years old and underwent a live related kidney transplant in 2011. He has competed at the annual BTG since 2013 doing various sports successfully, but excelling in badminton. This will be Lewis’ second WTG, a biannual event that takes place at different venues around the world. 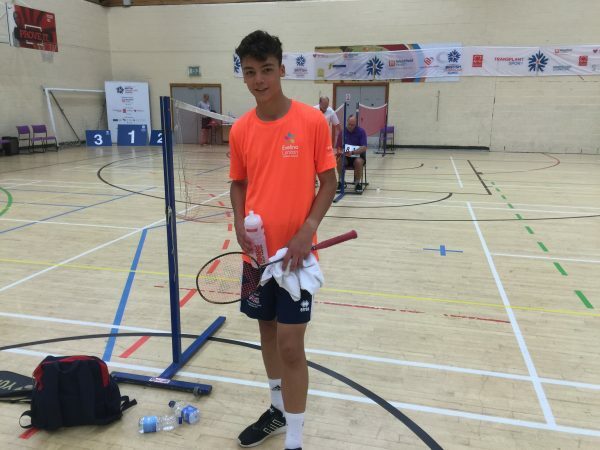 In 2015, Lewis travelled to Argentina to represent Team GB at singles and doubles badminton and successful won the Gold medal, a fantastic achievement! He is currently the British and World 15-17 boys badminton Gold medal holder and is looking forward to defending his title in Malaga.